With the club recently announcing that Vale will be taking on newly promoted SPFL side Livingston and the current SPFL champions Glasgow Celtic as part of their pre season schedule, we felt it was great timing to catch up with the Gaffer Chris Anderson and chat all things pre season. 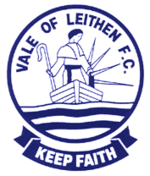 Valeofleithen.co.uk asked the manager if he was relishing the task of locking horns with both Livingston and Celtic over the coming weeks. The manager will have to wait a little longer than expected before he and his coaching team will be able to assess the boys on their first 90 minutes. Tomorrow nights game vs Peebles Rovers as stated has fell foul to the blistering hot weather which has affected the Whitestone Park turf.